A little more than a while ago I bought these Trilogy creams from Priceline and as promised, I’m going to do a review of them today! The Trilogy Eye Contour cream is a botanical product that is fragrance-free and its aloe vera gel/cream base helps revive and tone tired skin. The avocado, evening primrose and jojoba oil helps to soften and condition the skin. It does not contain artificial or synthetic active ingredients which is great for sensitive skin. Although this anti-aging product is targeted for mature women, I believe that great skincare starts from an early age and the fact that it is a botanical product, it should be gentle enough for younger skin, especially for women living in drier climates who would be more prone to dehydrated skin. The Trilogy Rosapene™ Night Cream is also another botanical product targeted to revive, restore and rehydrate complexion overnight. Its main ingredient is Rosapene™, which is an organic blend of repairing rosehip oil and antioxidants lycopene from tomato and phystosterol from acai berry. On the jar it is also stated that it has goji and manuka honey, and we all know the health benefits of goji berries and manuka honey. This night cream uses goji extracts to aid regeneration and manuka honey to hydrate and repair the skin. 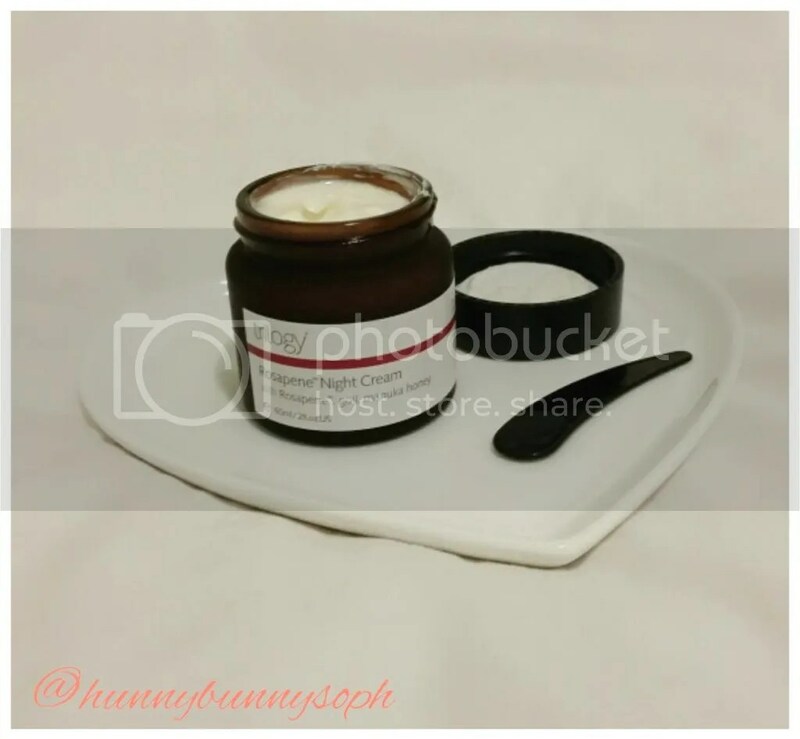 The night cream comes in a glass jar and along with it an applicator for easy scooping. 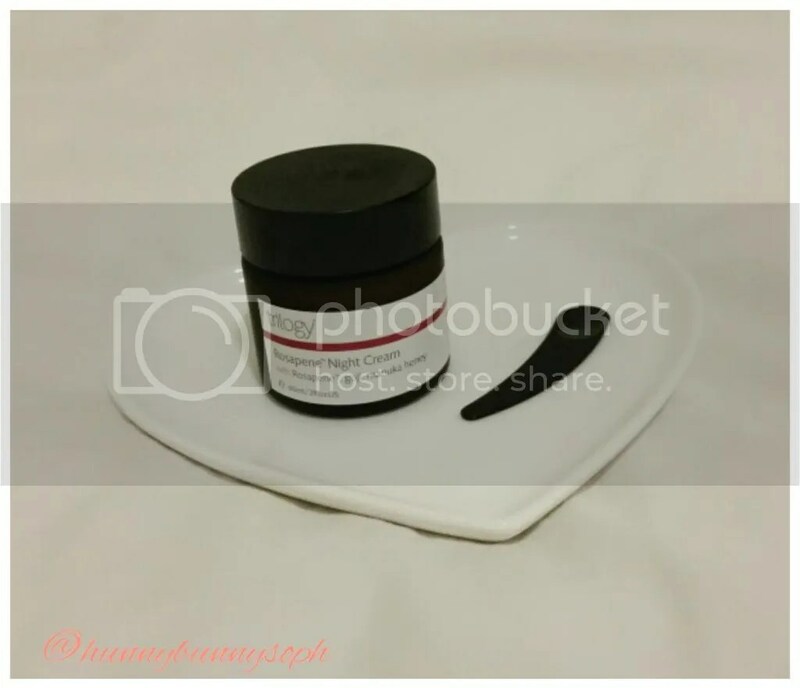 I really like it when products come with the applicator because I feel that it is more hygenic to scoop out what you need instead of dipping your finger into the cream within the jar. The cream is very easy to apply and at first I was worried that it would be too rich for my liking. I haven’t been a regular user of night creams because they tend to be very heavy on the skin and I don’t really like that feeling on my face. Surprisingly though, you can feel that this night cream is luxurious but sits gently on your skin. In the morning when I wake up, my skin feels completely nourished and hydrated. 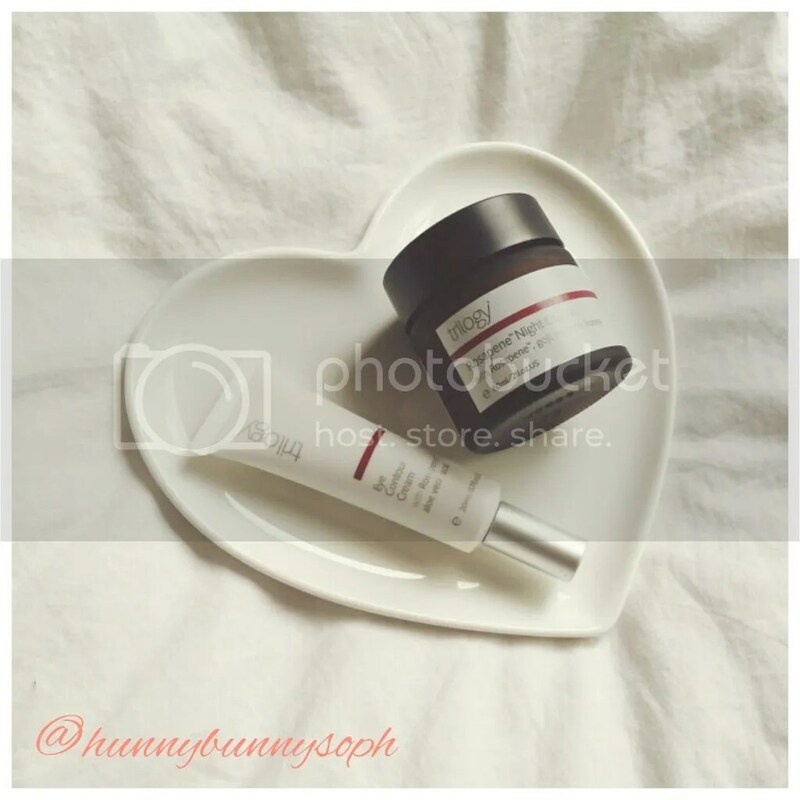 I use the Trilogy eye contour cream together with my Rosapene night cream to specifically target wrinkles around my eye area. I don’t have very deep wrinkles or a lot of fine lines as yet thank God, and I’m trying to keep it that way for as long as I can. This eye cream retails at A$45 but I got it on a 40% discount so I thought I’d give this a go. 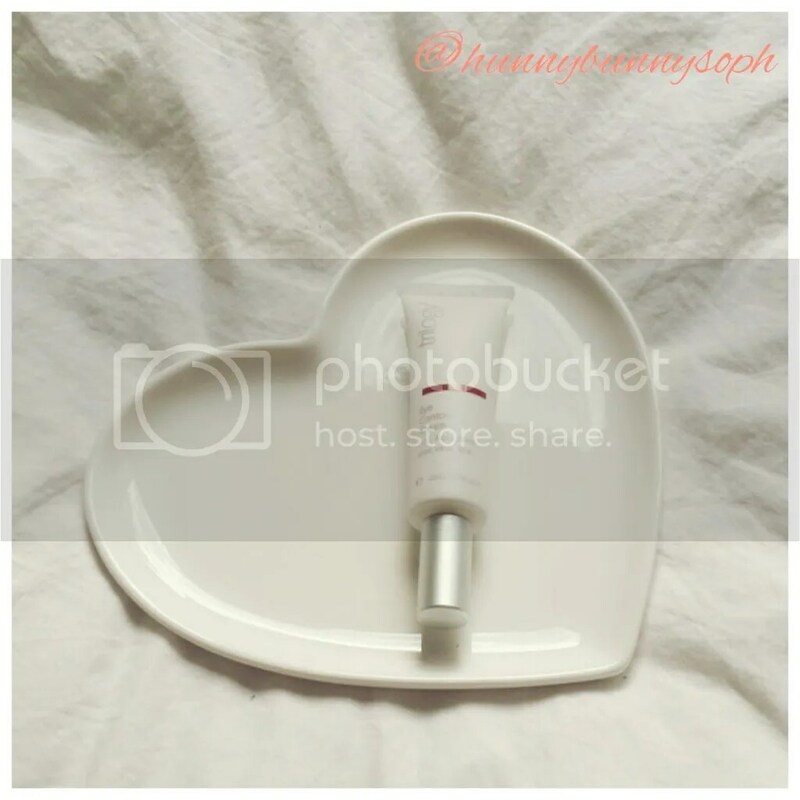 The eye cream, unlike the night cream, is unscented and that is pretty much the only difference between the two. I have got rather dry eyes and this eye cream helps to hydrate my eye area. The product sinks in pretty quickly and again, it is not heavy/greasy on the eye area. This is perfect for me because I wear glasses and it annoys me greatly when my glasses keep slipping down my nose because of greasy face creams. The tube is not exactly big for the price it comes with but I think it would go a long way because a small amount of this rich cream is enough to cover the eye area. 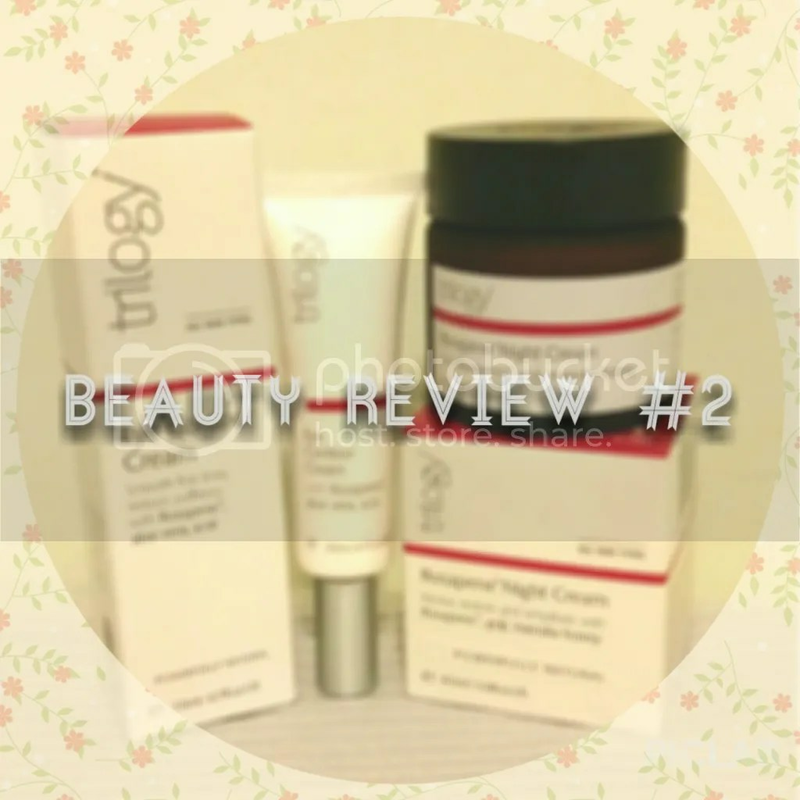 Hope you enjoyed reading this review as much as I did trying the products!